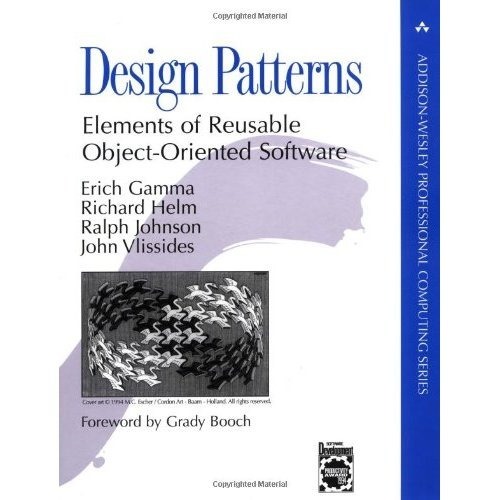 I realized this week that I do not own a copy of the Design Patterns: Elements of Reusable Object-Oriented Software. 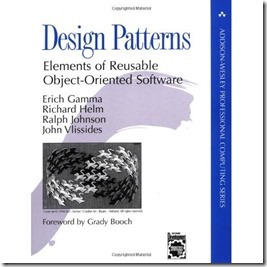 Four top-notch designers (Erich Gamma, Richard Helm, Ralph Johnson and John Vlissides) present a catalog of simple and succinct solutions to commonly occurring design problems. They go on to systematically name, explain, evaluate, and catalog recurring designs in object-oriented systems. I will need to immediately remedy this awful library omission!